When made possible by automation and digital connectivity, everything flows automatically. At the EuroBLECH 2016, Bystronic demonstrated such a sheet metal flow where its fully-automated Production Cell cuts, transports, bends, and sorts sheet metal parts in an effortless manner. With the Production Cell, Bystronic effectively demonstrated sheet metal processing work in the age of Industry 4.0. 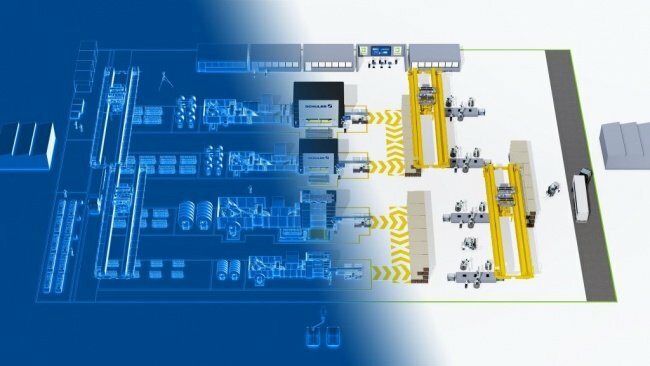 Bascially, a networked manufacturing solution for the cutting and bending of sheet metal products, it goes one step further towards automation and cross-process solutions, and the interlinked system becomes a fully automatic production cycle. The heart of the Production Cell is a laser cutting system called ByStar Fiber 3015. 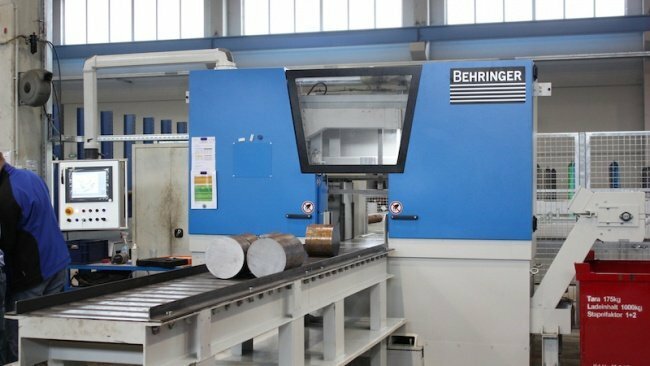 The system cuts various metals of various sizes before it subsequently goes through to bending and delivery of the finished sheet metal products. Inside the ByStar Fiber is a newly developed and fully automated cutting head with a Spot Control function. The ByStar Fiber is directly linked to the ByTrans Cross loading and unloading system. The system supplies the necessary raw metal sheets and removes the cut parts and residual sheets from the fibre laser system’s shuttle table at an incredible speed. The modular-designed ByTrans Cross system allows it to be integrated in a variety of production environments. The use within the Production Cell is only one of many possibilities. Here, the ByTrans Cross is connected to a warehouse, effectively creating a bridge between the fibre laser and the warehouse. After cutting and unloading, the parts can be sent to a bending station. This process is now integrated into the Production Cell. 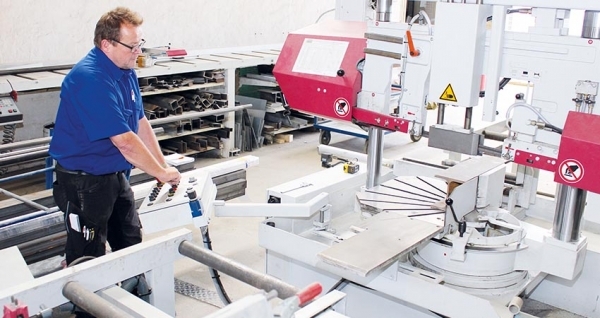 An Xpert 150 press brake in the form of a fully automatic bending station, cut parts via the storage facility, and then on to a material deposit for the bending machine. The bending station has a tool magazine, where the robot can fetch the required tools and install them in the Xpert. Everything is kept simple: Add new tools to the magazine, a sensor on the robot automatically detects them, transmits the information to the bending software, and the new tools are stored in the system. After the bending process, the robot sorts the finished parts and places them in separate storage areas. All that the user has to do now is to pack, label, and ship. Finally, when all the parts have been cut and bent, and are ready for delivery, the Plant Manager sends a message to the ByCockpit or to the user’s ERP system. Then the shipping department knows that the job has been completed and the parts are ready for shipping. With the takeover of the Swiss FMG company, Bystronic will provide its customers with greater support in the field of automatic manufacturing concepts. FMG is a specialist company for warehouses, material handling, and sorting systems based in the Swiss municipality of Sulgen. Since 1989, it has supported its customers with end-to-end solutions in the fields of process and production engineering. The FMG brand will continue to exist after the takeover, and as a member of Bystronic, the company will continue to work with its production, sales, and service structures. René Kuster and Thomas Messerli are responsible for the management of the company. The demand by many users for automation and digital process solutions is increasing. This trend is being intensified by impulses from the field of Industry 4.0, which are changing the world of sheet metal processing. Software plays a key role in this transformation. Software solutions support users in the planning, interlinking, monitoring, and optimising of all their processes. Recognising this, Bystronic and Lantek have inked a partnership agreement to support their customers with process solutions. A first goal of this partnership is the development of an MES solution. This will enable Bystronic to expand its existing range of software solutions with an integrated Manufacturing Execution System. This MES solution will help customers to integrate automation solutions and digital processes into their production landscape. 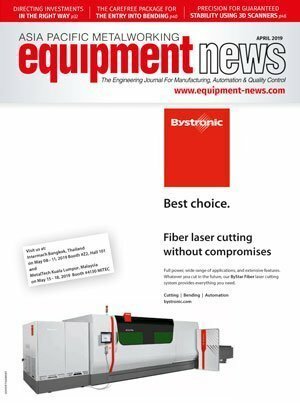 “The Lantek technology portfolio is wide and deep, and Bystronic’s excellence in machine construction is world renowned. 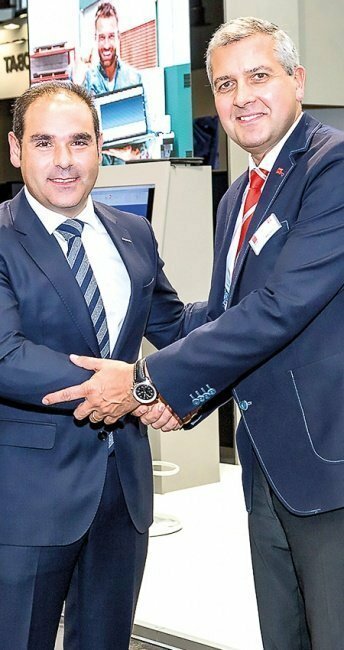 With innovation a part of the DNA of both companies, this partnership will help Bystronic’s customers transform how they manage Bystronic machines and transcend the established boundaries in the sheet metal industry”, comments Alberto Martinez, CEO of Lantek. The alliance marks this milestone for the two companies as they celebrate their respective 30th anniversary in 2016. Innovation partners: (L-R) Alberto Martinez,Lantek’s CEO and Bystronic CEO Alex Waser.